American DJ Ultra Bar 9 DJParts - All Variety of Parts that DJ Needs. 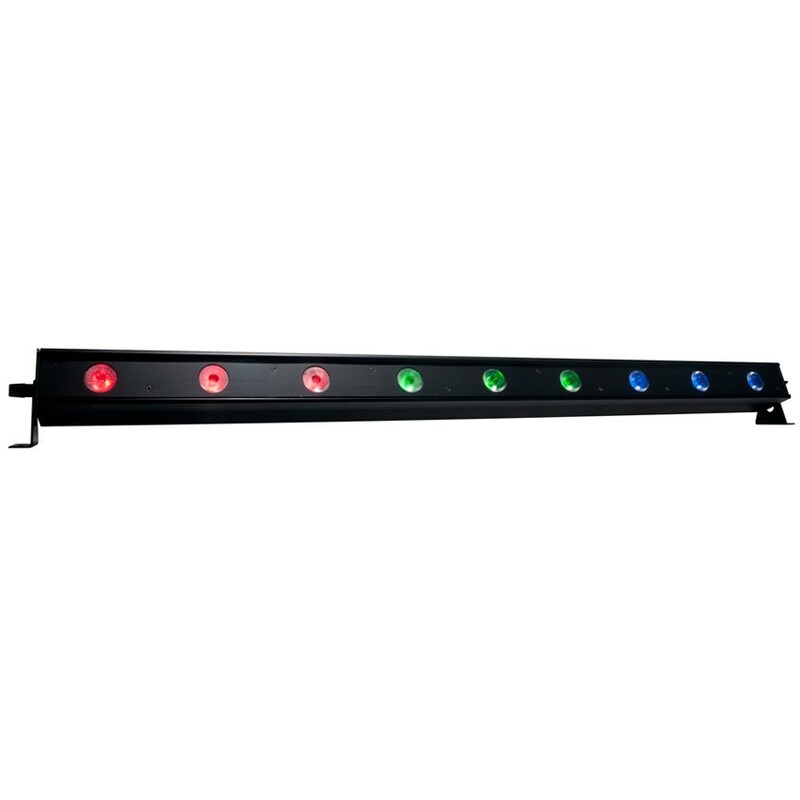 The ADJ Ultra Bar 9 is a 41.75-inch (1meter) professional grade indoor linear fixture powered by nine 3-Watt TRI (RGB: 3-IN-1) LEDs. Its bright chromatic 40-degree beam angle provides vibrant TRI color mixing designed for washing stages, walls and dance floors. Its rugged casing with patent pending Quick Align end locking allows for a seamless output of light with no breaks of color. Ultra Bar 9 features built-in Color Macros (built-in colors), 6 DMX Channel Modes, 0-100% dimming and variable speed strobe. Plus, it offers flexible programming from its on-board 4-Button LED DMX-512 menu, or from the ADJ RFC RF wireless remote (sold separately). 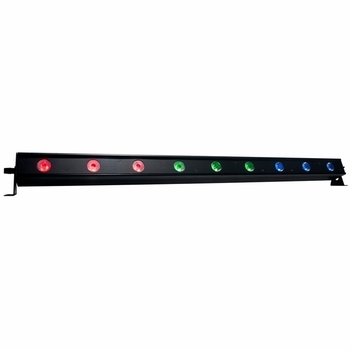 Specifications: • 41.75-inch (1 meter) indoor Linear Bar with 9 x 3W Ultra bright TRI (RGB: 3-IN-1) LEDs • Variable RGB color mixing offers a seemingly unlimited color palette - Great for Stage or Wall Washing! • 7 DMX Channel Modes: 3, 5, 6, 7, 8, 9 or 11 channels • 6 operational modes: Auto Run, Program Mode, Sound Active, RGB Dimmer, Static Color and DMX-512 Mode • 3-Section Pixel control • Patent Pending Quick Align (Magnetic) • Beam Angle: 40 degrees • Flicker Free • 4-Button DMX LED Display • 35 built-in Color Macros • LED pulse & strobe effect • Electronic Dimming: 0-100% • Includes mounting brackets to mount on a wall or set on the ground • Compatible with the ADJ RFC remote with RF control up to 30 ft./ 10M (sold separately) • Long Life LEDs (Rated at approximately 50,000 hrs.) • Power Draw: 35W • Linkable: DMX via 3-pin XLR cable; Power via IEC daisy-chain power link (Up to 15 Ultra Bar 9 fixtures) • Multi-voltage operation: AC 100V-240V 50/60Hz • Dimensions (LxWxH): 41.75” x 2.5” x 3.5”/ 1060 x 63 x 90mm • Weight: 6 lbs./ 2.6 kg.